You've reached the home of the very best folk style wedding bands in the UK! 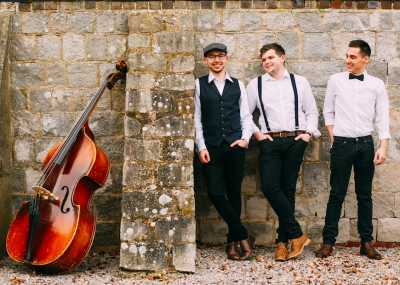 Whether you're looking for our indie folk wedding bands or you want a Mumford and Sons style wedding band, these talented groups will make your big day an unmissable experience with their romantic ballads, rustic charm, and rousing acoustic rock numbers! When you book a folk wedding band or wedding acoustic band through us here at Entertainment Nation, you're guaranteed only the most professional, talented and well-reviewed artists on the live music circuit. 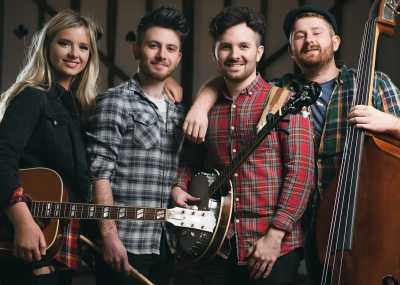 Booking a Mumford and Sons wedding band is one of the most popular entertainment choices for couples, and when you watch and listen to our folk style wedding bands, you'll understand why! 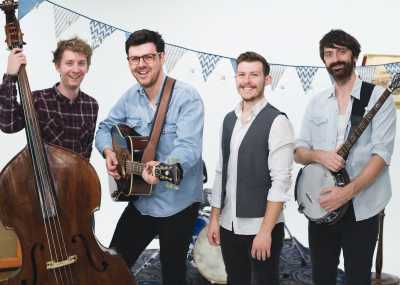 Putting a new twist on your favourite pop and rock songs, bringing new life to folk and traditional songs, and roaming freely around your venue, a folk style wedding band is an inspiring, mobile event that can follow you wherever you go! Book Your Wedding Acoustic Band Now! 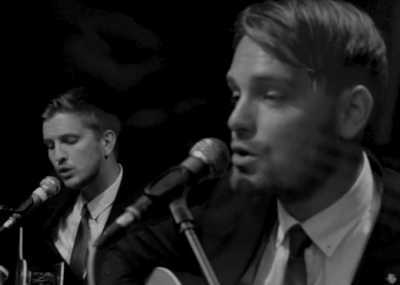 Check out the roster of amazing talent we've got on offer and start your journey to a dream acoustic band wedding! If you've found a band you love, simply complete the brief "enquire now" button on the bottom of the band's profile and our team will be in touch with a comprehensive quote as soon as we can. If you've got any questions don't hesitate to get in touch - our expert, friendly team of booking advisers are here every day to answer your questions, from 10am to 10pm (even on bank holidays!). 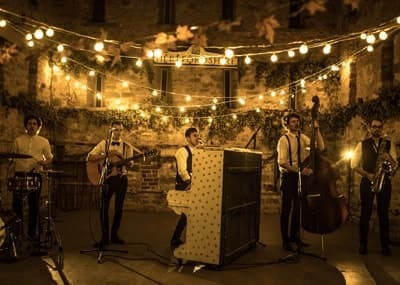 Why Hire a Folk Music Band for Your Wedding? Nothing compares to the experience of being part of a live wedding band folk performance! The staggering popularity of these bands is certainly deserved - the experience of being involved with the show as the musicians wander your venue is second to none, and when they take to the stage in the evening, the excitement simply keeps building as you anticipate their rousing, uptempo sets! How Much is it to Hire an Acoustic Wedding Band? The price of your band will depend entirely on the individual act! Many factors will affect the cost of hiring any band - including the number of members, the distance they'll need to travel to your venue, and their popularity, of course! To give you a general idea, the best folk wedding bands might start from between £500-£1000 as a duo, £1000-£2000 and beyond for 3-piece line ups and beyond. Remember, the only way to find out a band's total price is to request a comprehensive quote from our team. No matter what budget you've got to work with, we'll try to find a band that suits your requirements. Our huge selection of folk music wedding bands gives you plenty of options, and since all our bands have been vetted by our industry professionals, you won't ever have to compromise on quality. Which Songs Will a Festival Folk Wedding Band Perform? There's lots of variety when it comes to an acoustic folk wedding band. Most bands will offer daytime sets, where some slow ballads and romantic numbers will provide unobtrusive background music to set a relaxed tone and build up the excitement. 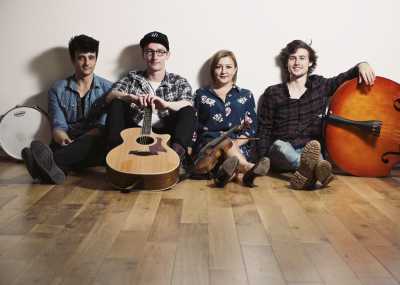 Easier listening might involve some pieces by Ed Sheeran and Jason Mraz, or the band might treat you to some classic rock and roll and 60s favourites from The Beatles and Chuck Berry. 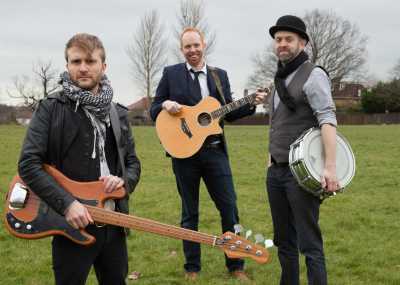 When it comes to the evening party though, your acoustic folk band can turn up the tempo and the temperature with some chart toppers from Bruno Mars, Ed Sheeran, Olly Murs and Adele - or they might get you singing along to some rock and indie floor fillers from Fall Out Boy, Fleetwood Mac, and Freddie Mercury! All our bands are professionals who know exactly how to engage with your audience and play the songs they want to hear. They'll keep the mood on a high all night, playing slow ballads for the daytime to roof-raising party tunes when the evening sets in. Many will learn your first dance or a special request, and will often let you pick songs from their razor-sharp repertoire to work into their sets - so a special night is always in store! What Will a Folk Music Band for Wedding Provide? 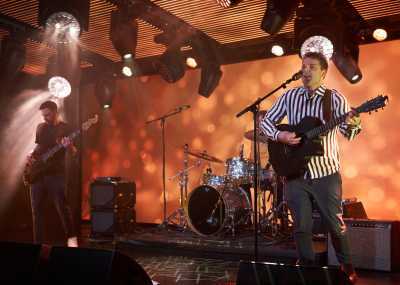 An all-acoustic band are able to perform so long as they've got their instruments! Some bands will also provide lighting for the stage and dance floor, and many will offer amplified sets for the evening performance if necessary, providing their own high quality PA - perfect if you've got some afternoon roaming in mind, and a stage-show finale to cap off the night! Check to see what your band supplies in their standard package, and have a look at their optional extras too - as well as recorded music between sets, some groups might offer a professional DJ service to keep you dancing into the night, extra musicians like keys, horns and strings players, additional sets, and much more! 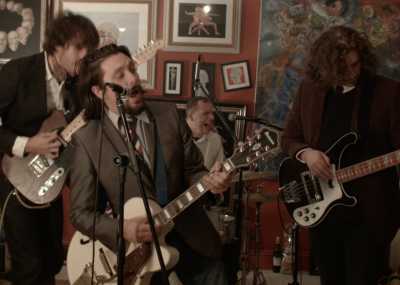 All that separates you from your dream folk rock band wedding is a brief enquiry form! Head over to your favourite band's profile and send us your details, and our expert booking team will be in touch with a quote. Our secure online payment system and comprehensive contracts give you total peace of mind, and we're just a phone call away to make sure your entire day goes smoothly. We look forward to hearing from you!